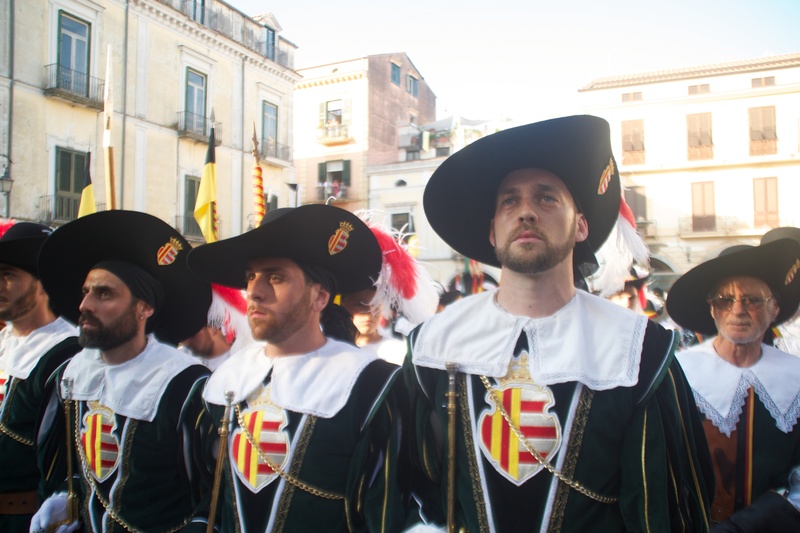 In 1656 the kingdom of Naples was afflicted by a terrible pestilence, brought to the peninsula by a handful of Spanish soldiers coming from Sardinia. 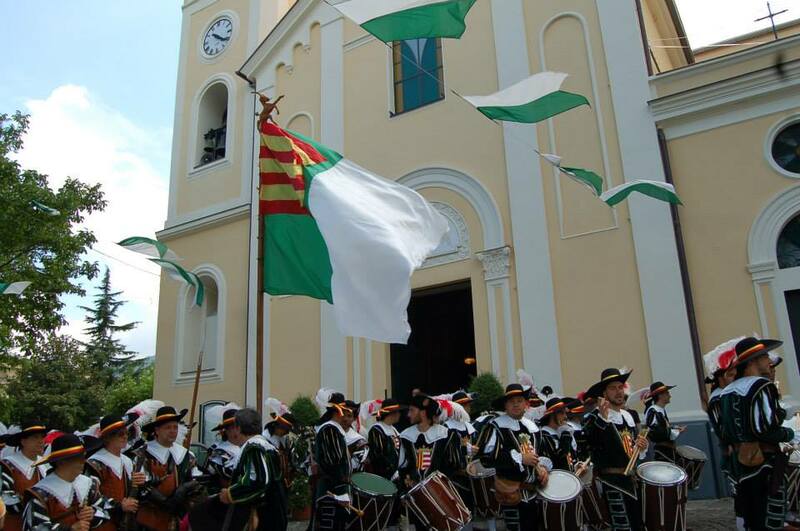 It is said that the bishop of the Parish of SS. 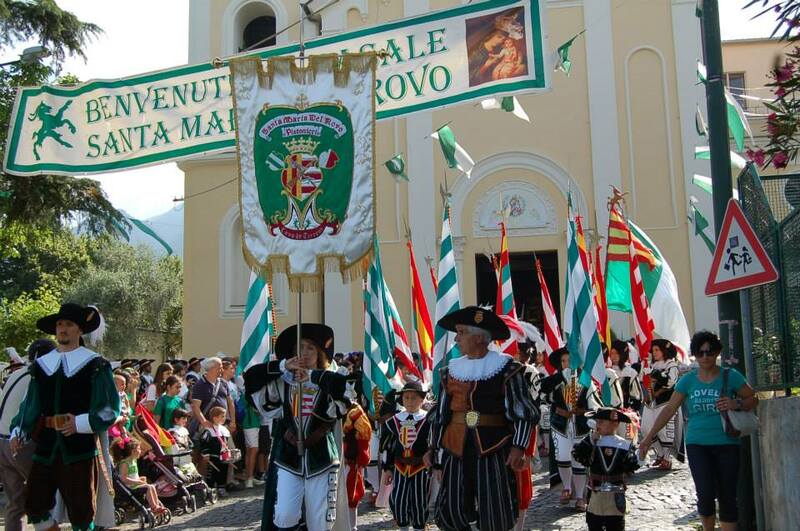 Annunziata in Cava de’ Tirreni, Don Angelo Franco, on the eighth day after the celebration of the Corpus Domini, went up in procession to Monte Castello, which overlooks the “Valle Metelliana” and gave his blessing to the city, by invoking the intercession of the Holy Spirit. 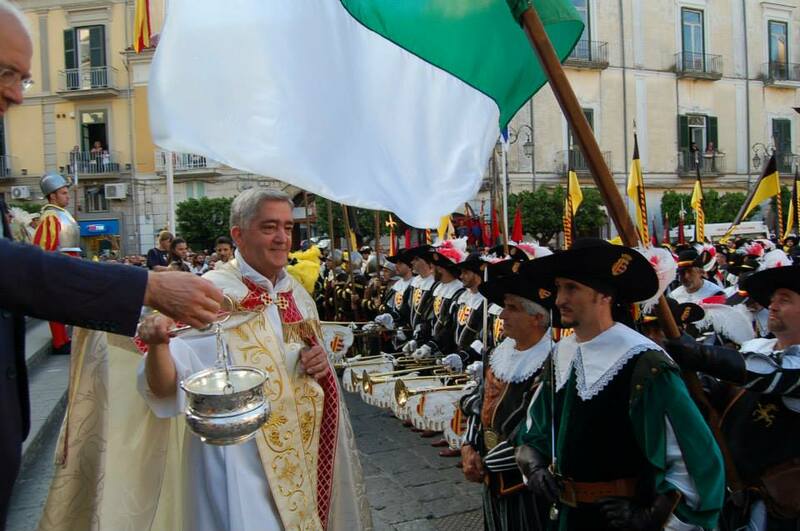 The Eucharistic Miracle took place and the pestilence was eradicated. 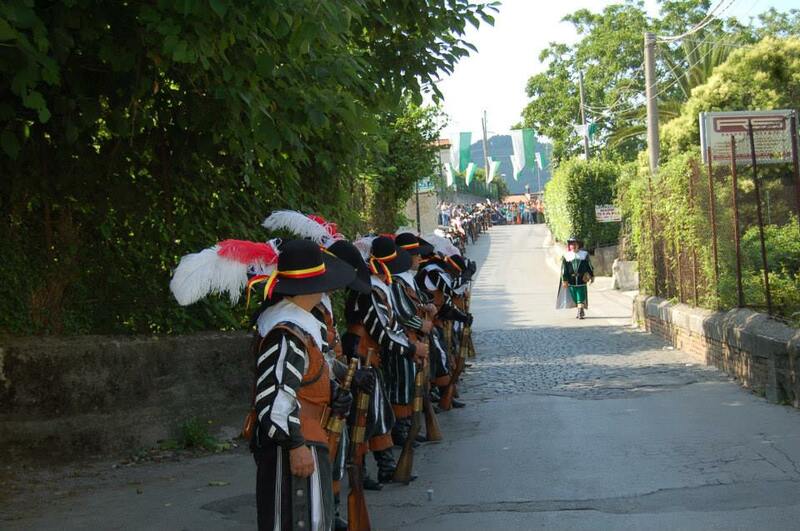 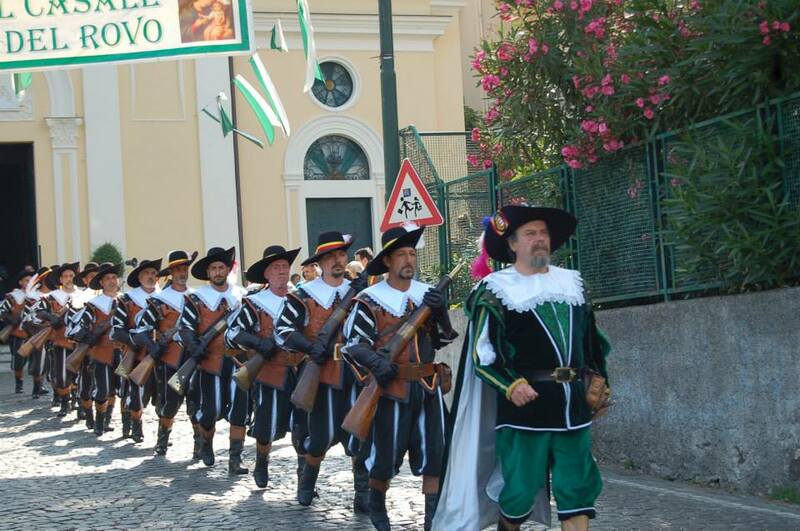 In devotion, every year from 1657 believers remind the rite of the procession and go up to Monte Castello by praying: celebrations in honour of the SS. 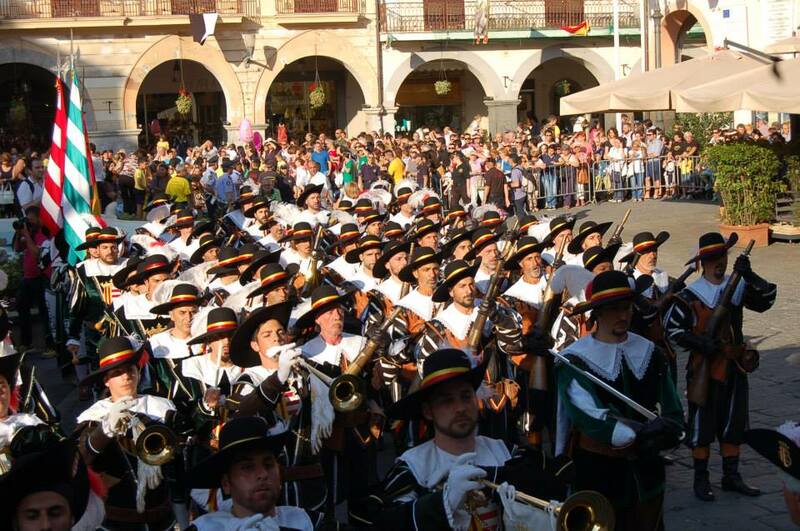 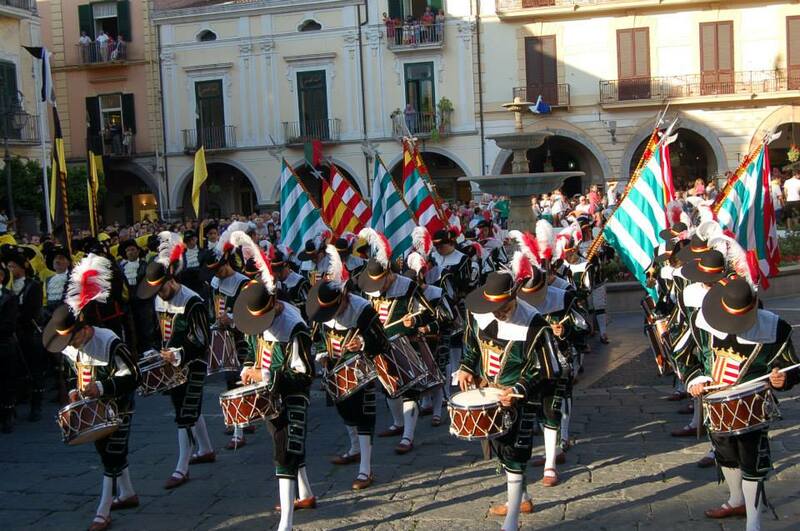 Sacramento, well-known as “Festa di Montecastello”, were born. 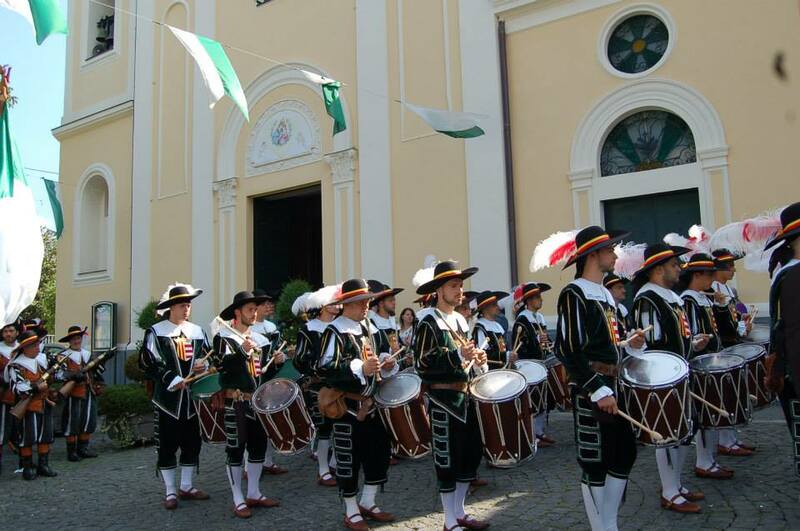 Over the following centuries, to the purely religious moment it was joined a joyful moment, organized by the Groups of “Pistonieri”. 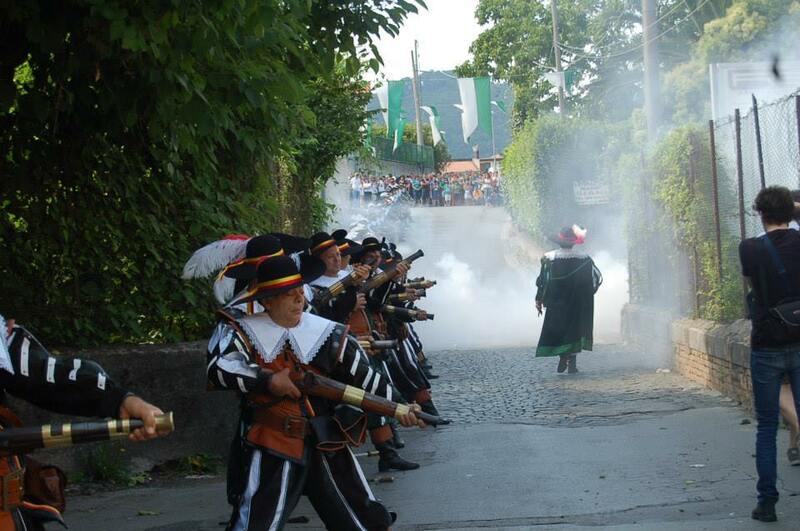 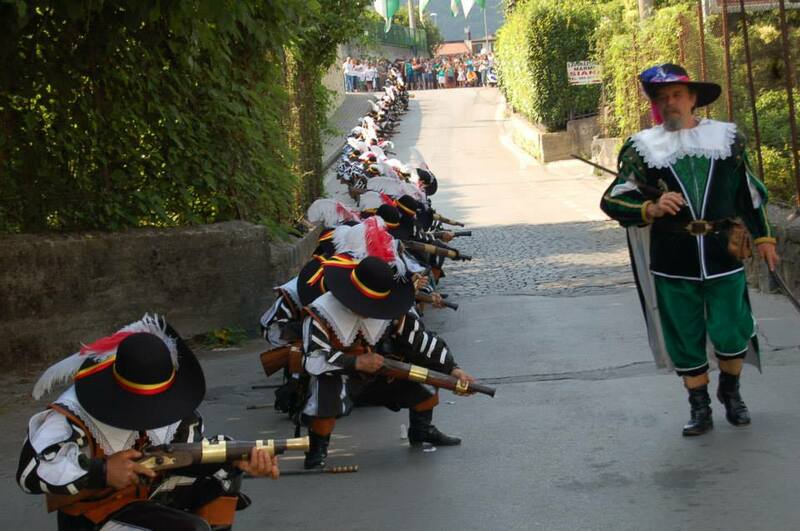 The week-end is consecrated to the celebration of “Thursday at the Castle”, when “Pistonieri” go to the Mountain at the first glimmer of dawn, and after the Holy Mass, celebrated by the Archbishop of the Diocese “metelliana”, resound along the valley the firing blanks of the “pistoni”, the typical muzzleloading firearm. 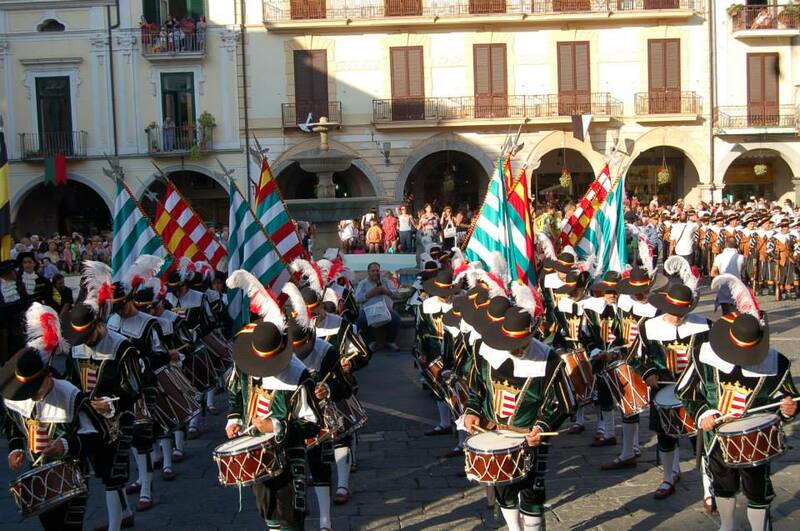 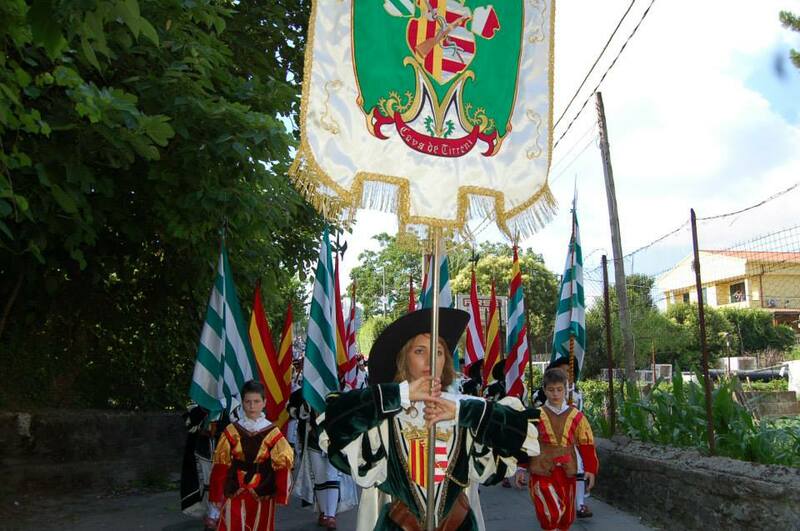 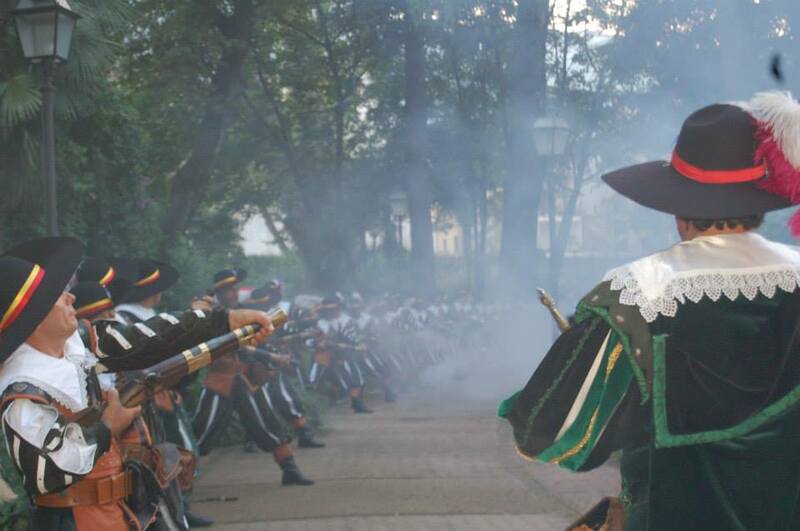 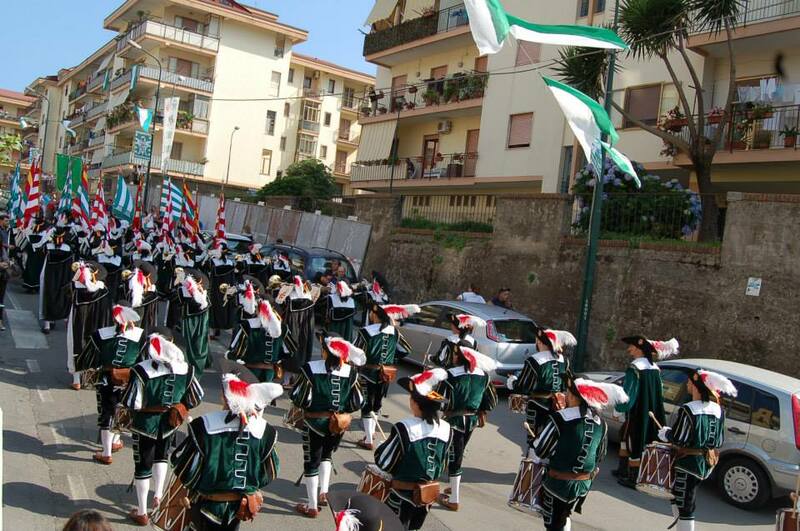 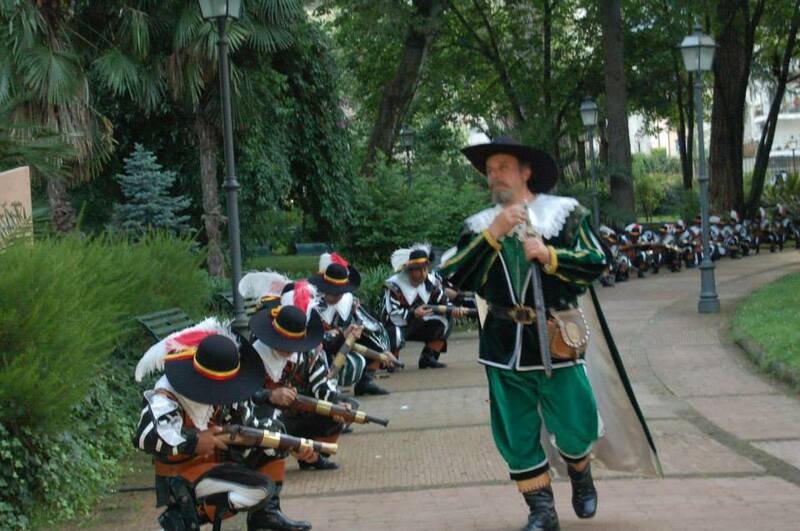 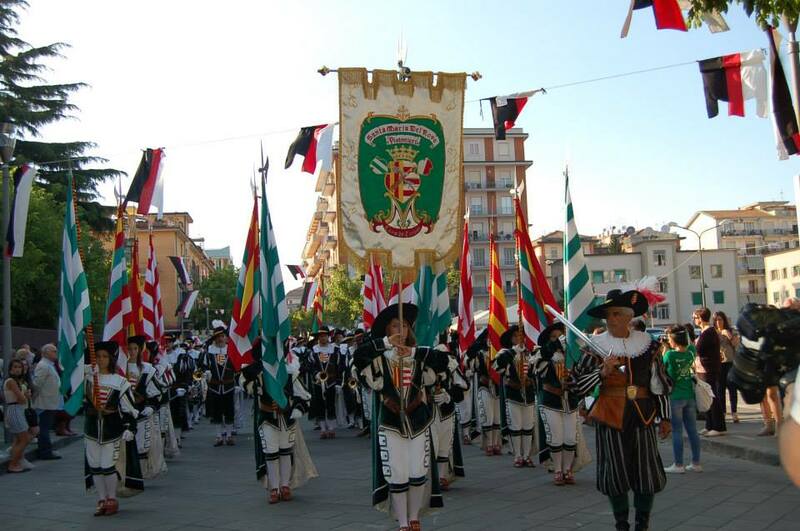 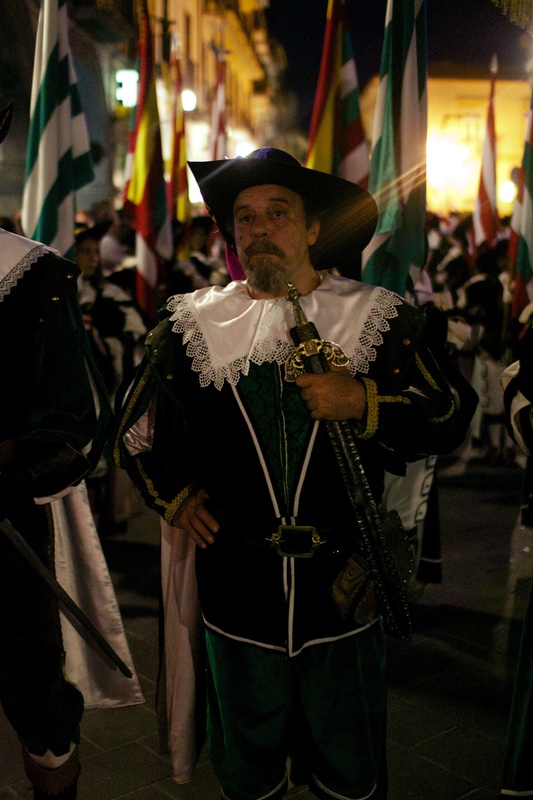 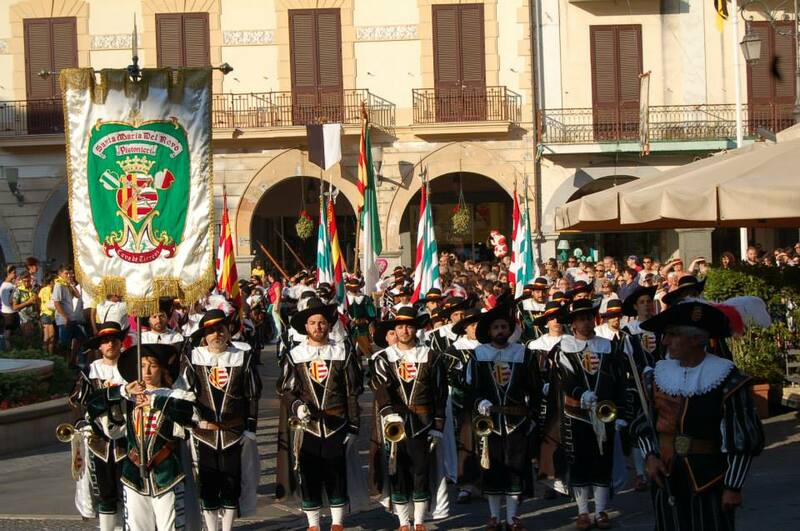 Saturday is consecrated to the “Benedizione dei Trombonieri” with the parade of the Group of the “Trombonieri”, flag-throwers and knights through the ancient porched village, along with thousands of characters in costumes of the 17th century. 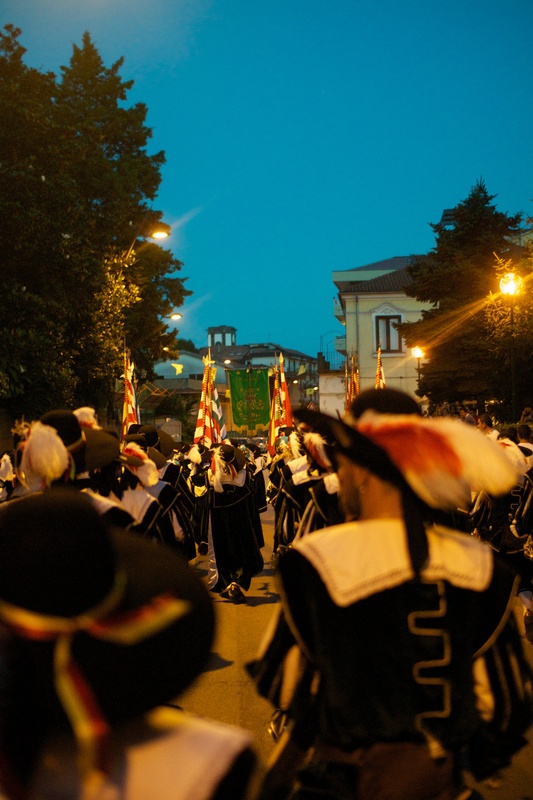 Evening ends with a fireworks display from Monte Castello and, according to tradition, every family dine with the culinary products typical of Cava, such as cooked spleen, “soppressata”, aubergines with chocolate, pasta with beans and “frittata di maccheroni”.